A distinguished group of scholars here provides a comprehensive survey of the theology of the early church as it is presented by the author of Acts. These twenty-five essays, designed to show the current state of scholarship in ways accessible to students of the New Testament, discuss the main themes in the theology of Acts: God's plan of salvation, the call of God and the spreading of the Word, the renewing work of the Holy Spirit, the relationship of Jews and Gentiles in the church, and more. 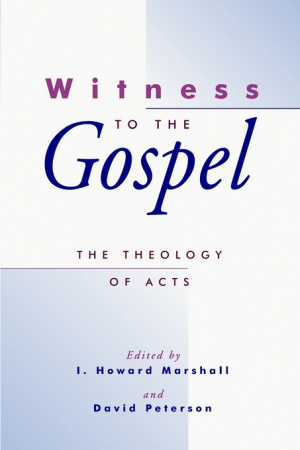 The Theology of Acts: Witness to the Gospel by I. Howard Marshall was published by Eerdmans Publishing Company in May 1998 and is our 24332nd best seller. 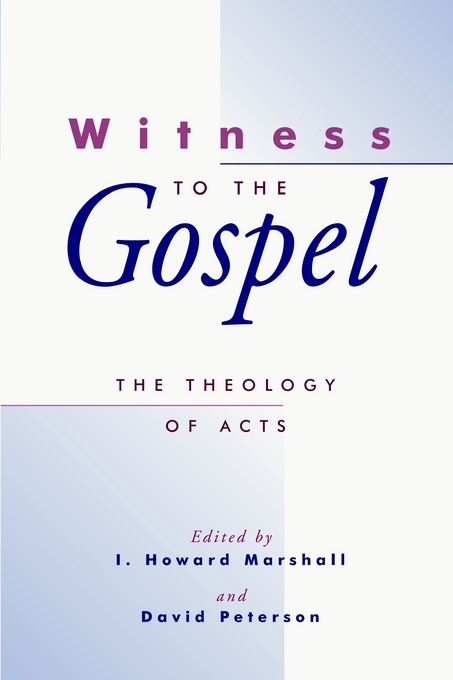 The ISBN for The Theology of Acts: Witness to the Gospel is 9780802844354. Be the first to review The Theology of Acts: Witness to the Gospel! Got a question? No problem! Just click here to ask us about The Theology of Acts: Witness to the Gospel.